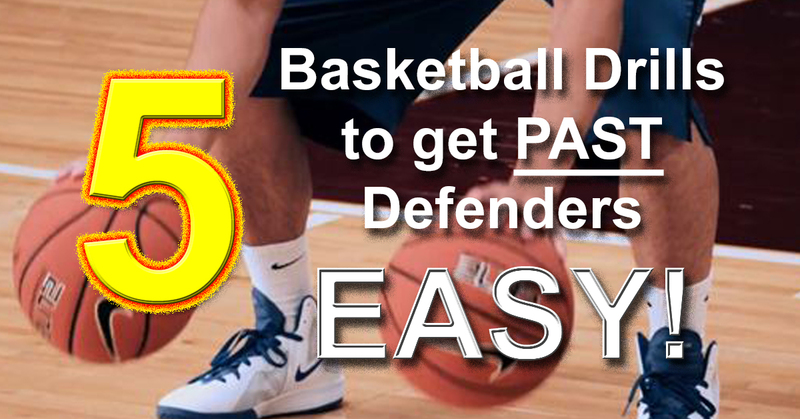 5 Basketball Drills & Moves To Get Past Defenders EASY! Check out this awesome training video and commentary from ILoveBasketballTV! In today’s video we go through 5 basketball drills that will help you get a quicker first step so that you can get past defenders easy! Here is a list of the sets and reps for the 5 drills. You should do them 2-3 days a week and always have a day of rest in between. Drill #2: Icky Shuffle (stick) use a ladder or if on a court go from baseline to free throw line – 3x up and back. Drill #3: Icky Shuffle (quick feet) *use same set and reps as drill #2. By doing these drills – you’ll develop stronger dorsiflexion in your ankles which will help you explode better. After time, you will become a very explosive player with a very explosive first step. To get by defenders you must push hard off that back foot, get low, and try to cover as much ground as possible. If you follow everything in this video you will be very difficult to guard.